Noah Pettit (L) and Lorre Black (R) during Storytime at the Washington C.H. Carnegie Public Library. Lorre was the guest author and read her book, THE GIFT OF THE UBI, to the pre-school children. Her book is about kindness and umbrellas. Her book is available on Amazon. Storytime is every Tuesday at 10:30 a.m.
https://www.recordherald.com/wp-content/uploads/sites/27/2019/03/web1_Noah-and-Me-at-Storytime.jpegNoah Pettit (L) and Lorre Black (R) during Storytime at the Washington C.H. Carnegie Public Library. 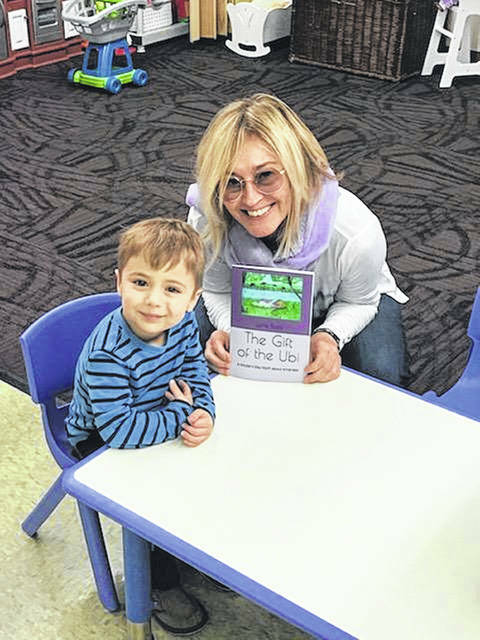 Lorre was the guest author and read her book, THE GIFT OF THE UBI, to the pre-school children. Her book is about kindness and umbrellas. Her book is available on Amazon. Storytime is every Tuesday at 10:30 a.m.